KEN YUSZKUS/Staff photo. 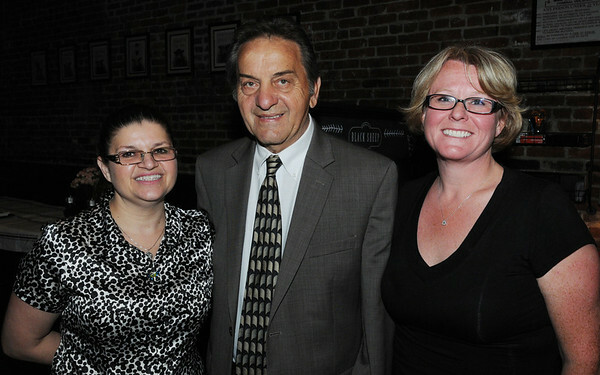 From left, Lill Chalifour co-owner of the Black Sheep Pub & Grille, Ward 3 city councilor Jim Moutsoulas, and Zoe Hornsby of Advantage Payroll attend the Peabody Chamber of Commerce gathering at the newly opened Black Sheep Pub & Grille in Peabody. 6/2/14.